THROUGH its venture capital arm InMotion Ventures, Jaguar Land Rover is pouring money into Arc, which yesterday unveiled ‘Vector’ – the world’s first fully-electric motorcycle with Human Machine Interface (HMI). 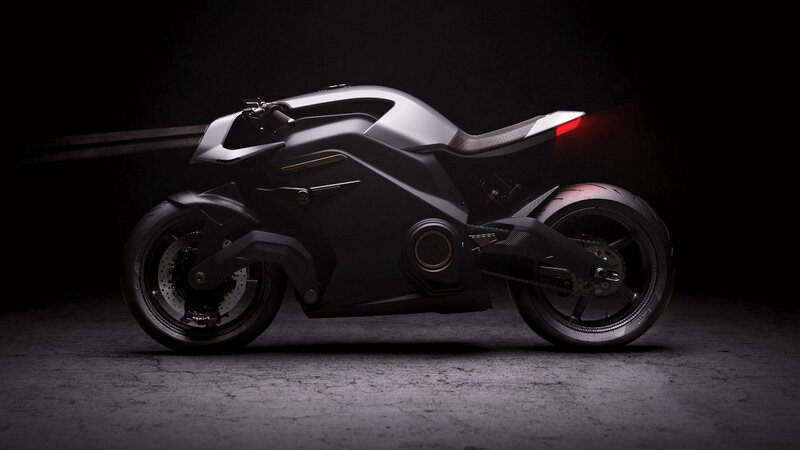 The investment from InMotion Ventures, along with Mercia Fund Managers and a number of industry specialist angels, will support Arc with its global ambition for Vector to be the cleanest, safest, and most fulfilling motorcycle on the road. The brand new bike, revealed at the Milan Motorcycle Show, features ground breaking intelligent haptic ride-wear and connected Heads-Up Display helmet. “Our aim has always been to bring technology, performance and safety together to create an entirely new two-wheeled experience,” Arc CEO Mark Truman said. “Vector isn’t just a motorbike; it’s the world’s first fully-electric café racer, it’s an innovative heads-up display helmet and it’s a sensory riding suit – all working in unison to create an experience package like no other,” he added. InMotion Ventures managing director Sebastian Peck highlighted the pivotal role electric vehicles will play in the future of urban mobility, helping people travel through cities quickly and cleanly as possible. “We want to make sure that we’re not only changing the way people move but delivering unparalleled outdoor experiences while doing so,” he said. INSPIRED by a summer of tennis, Peugeot, the official platinum partner of the ATP World Tour, has today announced the availability of an all-new Avantage Edition of the 208, 308, and 2008 and 3008 SUV models.